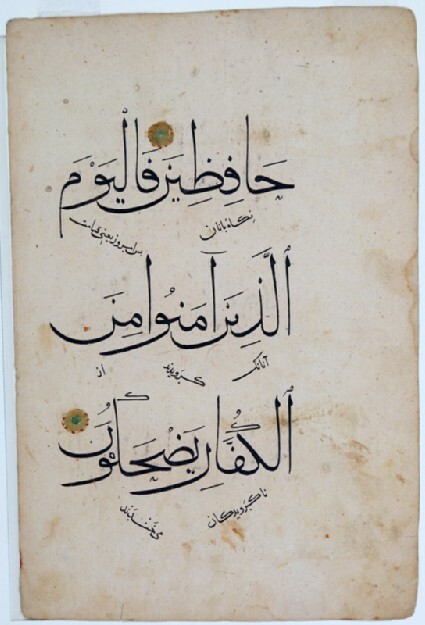 This page once belonged to a 30-volume set of the Qur’an. The practice of dividing its text in 7 or 30 parts - either bound in a single codex or in multiple volumes - dates from the early centuries of Islam. Its primary purpose was to evenly distribute the recitation of the whole Qur’an over a week or a month.